'Shadowlane' (I), the Charles Proctor residence built c. 1900 in Kings Point. 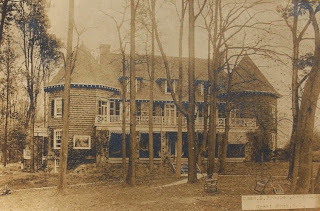 Proctor would go on to hire Little & Brown to substantially alter and enlarge the residence in 1914. Click HERE to see 'Shadowlane' (II). 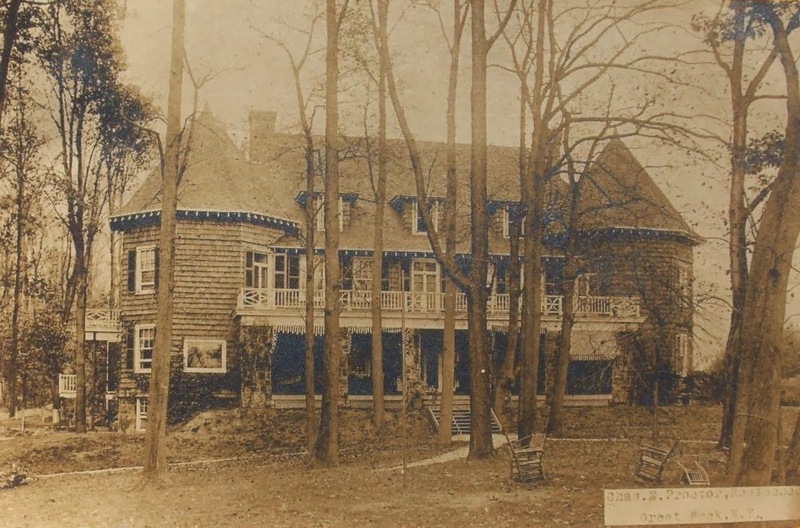 The residence was demolished in the early 1960s. Ah! So that's why the design of the later house is so odd and constricted. I'm normally a big fan of Little and Browne's eccentric baroque (Baroccoco? ), but the earlier shingle version works better for me. The alterations/enlargement seem a total mess and no credit to Little & Brown.